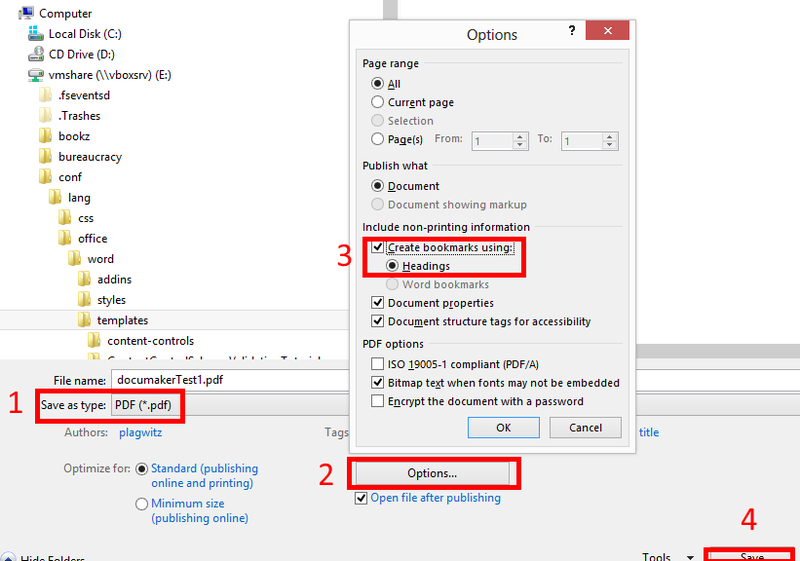 Problem: No navigation bar in Acrobat Reader when viewing your PDF created from MS-Word. Heading appears in Content control. Move headings out of Content Controls (you can still “lock”the text with Grouping, which will be enabled on the Developer Tab once you select at least a conten control and text (meant for form field labels). Move headings outside of tables. It seems if you come out of sleep with a secondary screen connected, even if you put the laptop to sleep with “it” (o.k., not the same “it”, just spec-wise the equivalent FULL HD LCD screen on VGA – being able to easily move the laptop to work in multiple places is kind of the point of having one in the first place), the primary laptop screen seems to remain asleep completely. FN keys to switch primary and secondary screen on laptop have no effect. While I could get to the tty shell on secondary screen using CTRL+ALT+F1, but using xrandr --auto gave can't open display. Switch to a non-elevated user (or else you’ll get: No protocol specified" , "Primary laptop", "Can't open display :0", Why can't I run GUI apps from 'root': "No protocol specified"? : " In Debian $XAUTHORITY is usually not set explicitly. ", "xauth list xauth: file /root/.Xauthority does not exist" ). Then issue: xbacklight -set 50 OR issue xbacklight -inc 50. Sleep takes out your primary screen and you are not good at blind starting, finding and typing into your Konsole? Right-click on the desktop of your secondary scree, “Run command”, and issue the same command line. This question came up during consulting (Disclaimer: BMC provides non-customers only limited access to online documentation and trial software). BMC Remedy Action Request System 8.1 supports a wide variety of reports, including from a query builder, and editing of reports, using the free Eclipse data visualization and reporting plugin BIRT, and exports of reports in a wide variety of formats, including Excel ( you can find more on Exporting to Excel in these articles). BMC can also read excel and other data: “Data Management is a web-enabled dataload tool that enables you to import data into your system” (source) . On the Excel machine, install the BMC-provided ODBC driver into ODBCINST.INI (contains information about ODBC drivers available system-wide). Create an ODBC connection, save office data connection files as .odc file for easy reuse. Query the Remedy database using SQL from ribbon: ” Data” / section:”Get External Data”:”From other sources”/ menu item: “From Microsoft Query”, select the Remedy Database, clear “Use the Query Wizard”, log in, in “Microsoft Query” window, add Remedy data tables, then columns to display, then go to menu: “File”/ “Return Data to Microsoft Office Excel”. If the exact required functionality is not built in, BMC remedy also provides extension points for developing plugins. See Application development with BMC Remedy Developer Studio, which happens with using BMC Remedy Developer Studio, a freely downloadable add-on which can be enabled by a vendor call. Greg Maxey provides a lot of useful information on MS-Word content Controls, including a VBA utility to more easily loop through the properties and placeholder text dialogue of Content Controls when building your MS-Word forms. We have no pretension to redistribute, get the utility from Greg’s website, it is open and you can extend it with above, if you need to. MsgBox "This document does not contain any Content Controls. 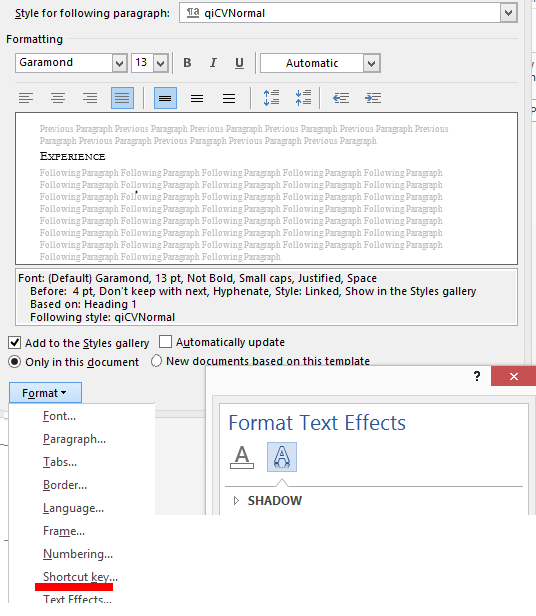 ", vbInformation, "Review\Set Content Control Properties"
Has the “text effects” cheese been moved only in Word 2013 styles?